Scientists working to better understand plants, other living organisms, and the complex interactions needed to sustain a healthy environment. 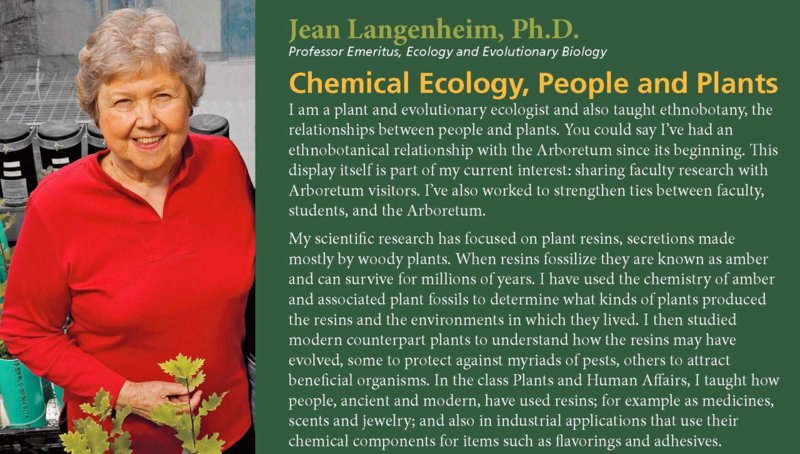 Chemical Ecology, People and Plants I am a plant and evolutionary ecologist and also taught ethnobotany, the relationships between people and plants. 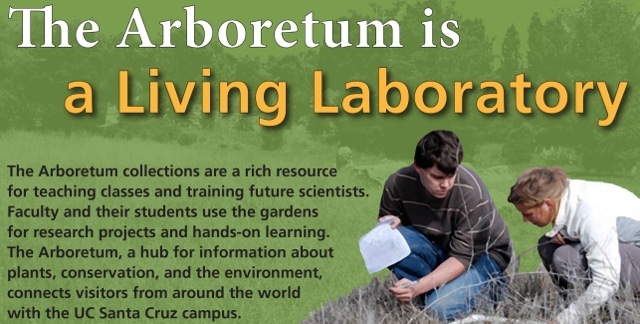 You could say I’ve had an ethnobotanical relationship with the Arboretum since its beginning. This display itself is part of my current interest: sharing faculty research with Arboretum visitors. More..
Form and Function of Nonseed-producing Plants I was one of the founding faculty members of UC Santa Cruz’s biology department. I am probably best known, however, for efforts to establish the Institute of Marine Sciences as well as serving as its longtime Director. More..
Ecology of Natural Communities The dominant theme of my research is how direct and indirect interactions between plants, herbivores, predators, and parasites shape the dynamics and patterns of natural communities. 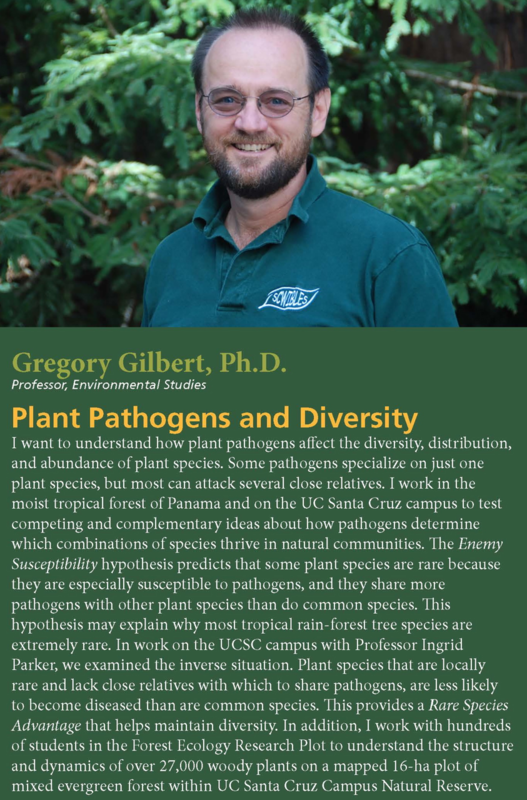 More..
Plant Pathogens and Diversity I want to understand how plant pathogens affect the diversity, distribution, and abundance of plant species. Some pathogens specialize on just one plant species, but most can attack several close relatives. More.. Restoration Ecology My research focuses on how to restore damaged land using a variety of strategies. To succeed, my colleagues and I have to consider local conditions such as soil fertility, exposure to sun, and competition with non-native plant ﻿species. More..
Plant Adaptation and Speciation I study various ways flowering plants adapt to changes in their environment, become reproductively isolated, and diversify. 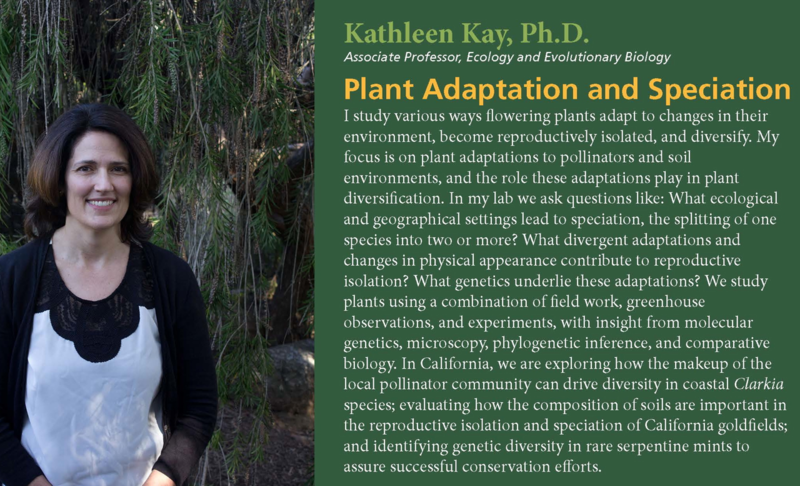 My focus is on plant adaptations to pollinators and soil environments, and the role these adaptations play in plant diversification. 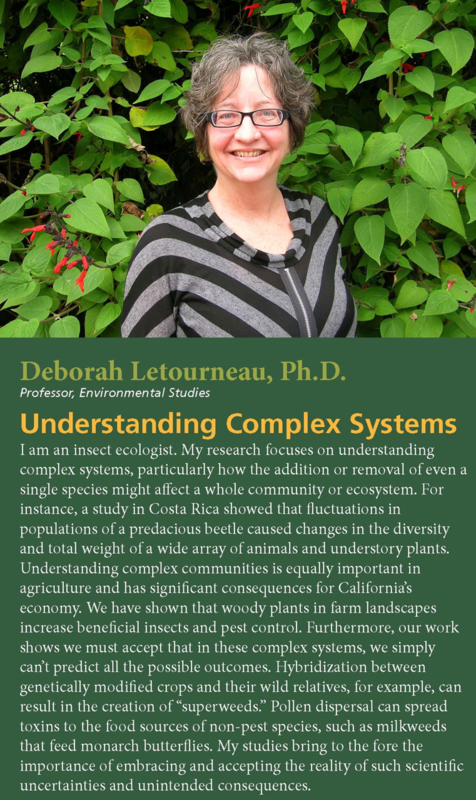 More..
Understanding Complex Systems I am an insect ecologist. 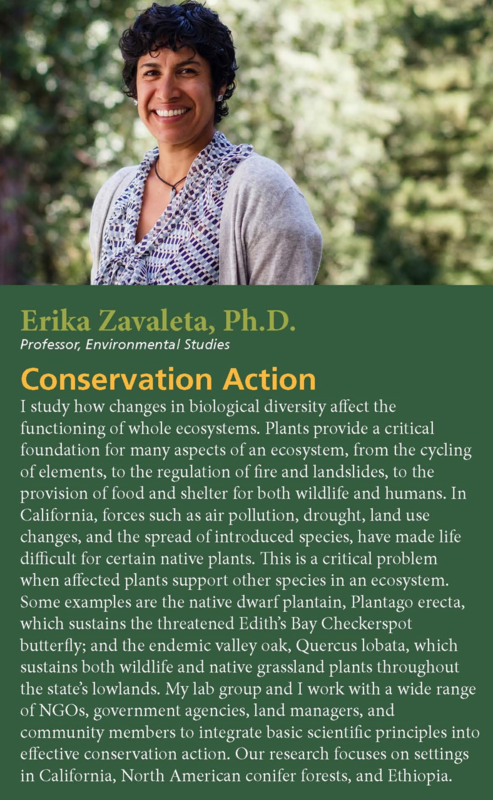 My research focuses on understanding complex systems, particularly how the addition or removal of even a single species might affect a whole community or ﻿ecosystem. 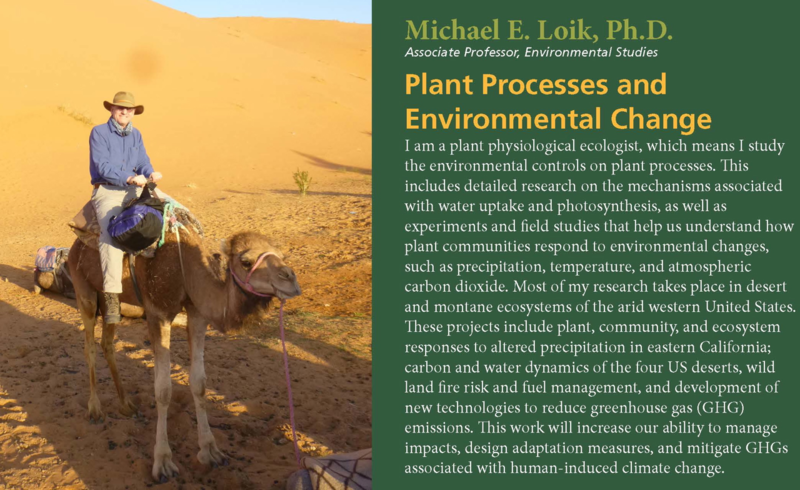 More..
﻿Plant Processes and Environmental Change I am a plant physiological ecologist, which means I study the environmental controls on plant processes. This includes detailed research on the mechanisms associated with water uptake and photosynthesis. More..
Social Behavior in Birds I want to understand the incredible diversity of social behaviors and social signals in animals. I’m particularly interested in the ways behaviors evolve in response to ecological and social factors. 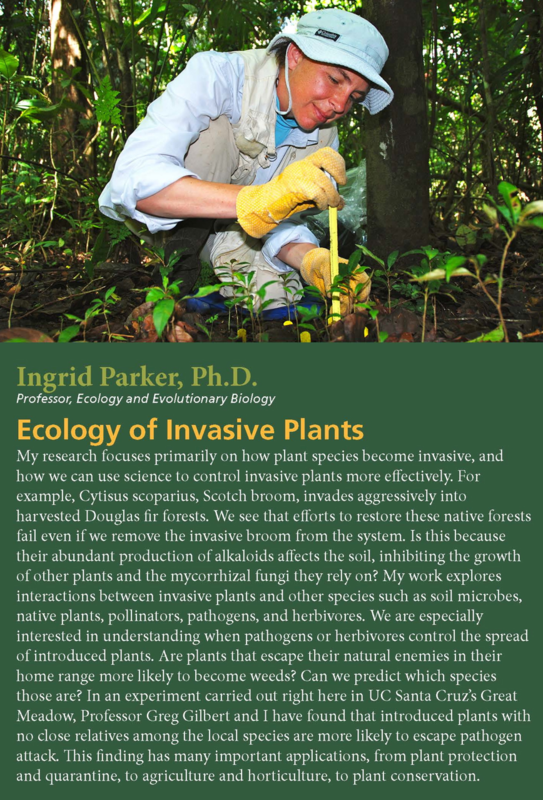 More..
Ecology of Invasive Plants My research focuses primarily on how plant species become invasive, and how we can use science to control invasive plants more effectively. 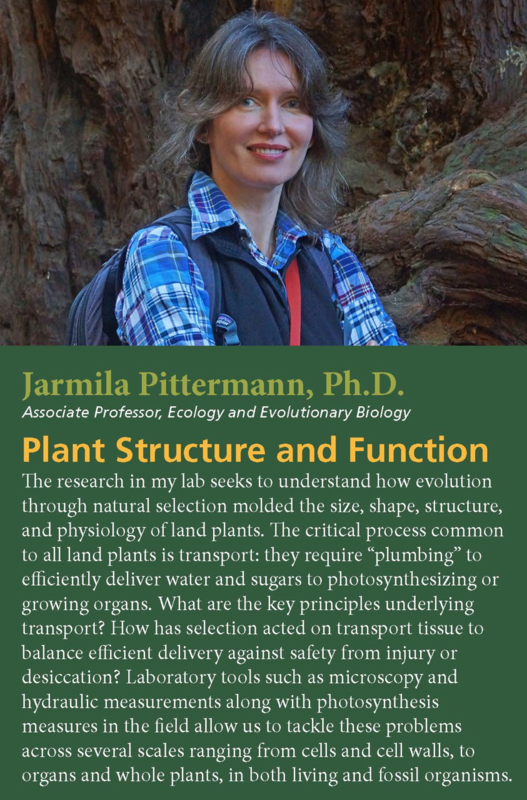 More..
Plant Structure and Function The research in my lab seeks to understand how evolution through natural selection molded the size, shape, structure, and physiology of land plants. 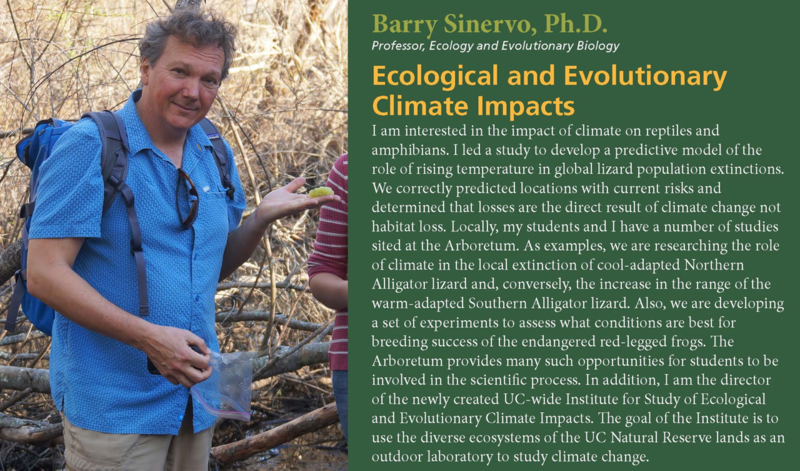 More..
Ecological and Evolutionary Climate Impacts I am interested in the impact of climate on reptiles and amphibians. I led a study to develop a predictive model of the role of rising temperature in global lizard population extinctions. 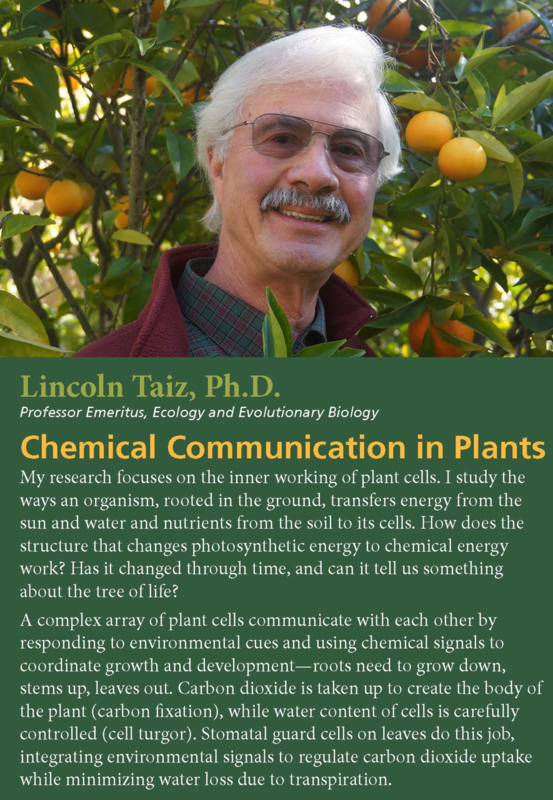 More..
Chemical Communication in Plants My research focuses on the inner working of plant cells. I study the ways an organism, rooted in the ground, transfers energy from the sun and water and nutrients from the soil to its cells. 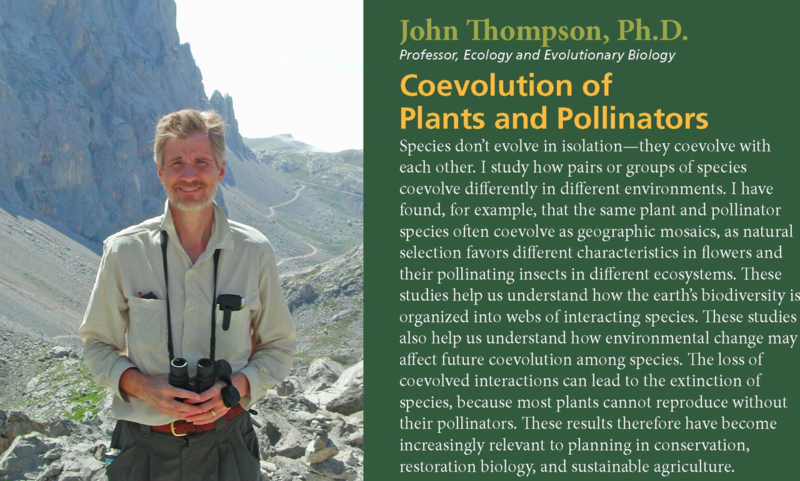 More..
Coevolution of Plants and Pollinators Species don’t evolve in isolation—they coevolve with each other. I study how pairs or groups of species coevolve differently in different environments. More..
Conservation Action I study how changes in biological diversity affect the functioning of whole ecosystems. Plants provide a critical foundation for many aspects of an ecosystem, from the cycling of elements, to the regulation of fire and landslides, to the provision of food and shelter for both wildlife and humans. More..